Thank you for joining our campaign to #AmplifyAVANCE! Together, we’ll raise $25,000 to make Futures So Bright for very young, low-income children and their parents. Spread the word with your friends, family, and community about AVANCE-Austin’s work and make 2019 the best Amplify year ever! $250 - Provides professional development scholarships for our early childhood and parenting educators so they can learn state of the art teaching strategies. $500 - Ensures age-appropriate school supplies for 20 children during our 9 month Parent-Child Education Program. $1,000 - Provides the supplies and instruction to create 51 educational toys. These toys will instill a love of learning through play, while teaching concepts such as shapes, colors, emotions, and gross motor skills. $1,500 - Sponsors a child to participate in the Parent-Child Education Program for a full year, making a long term impact on that child's quality of life. $3,500- Gifts a scholarship for an entire family to participate in the Parent-Child Education Program so that they can break the cycle of trans-generational poverty. Type this link into your internet browser: http://AmplifyATX.org/organizations/Avance-Austin. 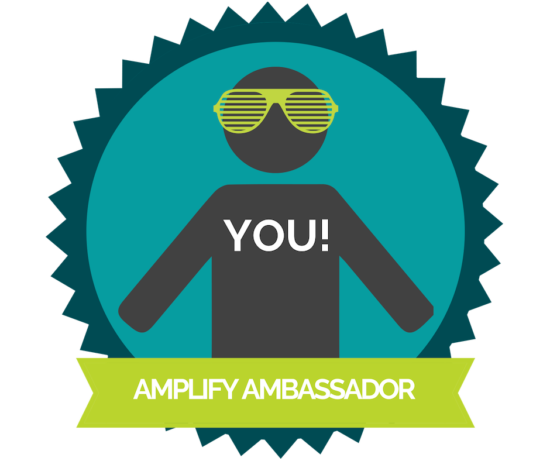 This will take you to AVANCE-Austin's Amplify Austin page. Click on the green "Fundraise" button. A sign up window should pop up on your screen. In the sign up window, create a login and password OR simply click "Sign Up With Facebook." We recommend using Facebook so you don't have to remember new login information and can easily share your fundraising page directly to social media (for tips on using the sharing feature, visit our Social Media toolkit blog post). Click "Submit" to register. Once you've signed up, it will take you to your personal fundraising page. Click on the "Manage Fundraiser" button in the green header. Customize your fundraiser! Fill in details, including your fundraising goal and personal story. It will offer some sample text, but we suggest making it more personal! For example, "I am a proud member of the AVANCE-Austin Board of Directors and supporter of this amazing cause! This Amplify Austin, I'm raising money for AVANCE-Austin because I truly believe in the work they're doing to build bigger, better and brighter futures for under-served and under-resourced families in our community. Will you join me by donating today?" You can also pick a fundraiser photo. It can be an AVANCE photo (there are plenty on our Facebook page or website) or a picture of you. To follow our “Futures So Bright” theme, upload a picture wearing sunglasses! Be sure to click "Save Changes" when you are finished editing. Pat yourself on the back! Your fundraising page is ready to go. For sample messaging and tips on spreading the word on social media, email, and beyond, keep reading this post. We will also send you an "Ambassador Toolkit" with all the tips and resources you need to reach your goal. Thank YOU for taking this first step to Amplify AVANCE! Tomorrow is Amplify Austin day. In case you aren’t familiar, Amplify Austin is a city-wide 24-hour online giving campaign for local non-profits. I’m excited to support AVANCE-Austin this year and hope you’ll join me. The money raised will directly benefit very young, low-income children and their parents by providing FREE dual-generation parent and early childhood education and family support services. I’m trying to raise $100 in 24 hours from 6pm Thursday, February 28 to 6pm, Friday, March 1. If I can get 5 people to each donate $20 or more, I’ve reached my goal. It’s important for me to help make a difference for young Hispanic children and their families. I hope you’ll support me and these children by making a gift to my fundraising page below. If you know you’ll be unavailable on Amplify Austin Day, you can also pre-schedule your gift and it will count towards my goal. Thanks in advance! Please feel free to reach out to me if you have any questions, and thanks for reading! Once you’ve done your first round of personal outreach, social media is a great next step to keep everyone updated on your progress and impact. Promote on your own social media channels, with a link to your personal fundraising page to make it easy for your friends to donate. Want to go the extra mile? Make a donation to your own fundraiser to set the example and kick off your fundraising efforts! “Like” us and SHARE our Amplify posts. Or create your own content using hashtags: #AmpilfyATX #AmplifyAVANCE and #FuturesSoBright. Again, save yourself time and retweet us. Consider adding a personal message to encourage your friends to give. Make sure to use the #AmplifyATX or #AmplifyAVANCE #FuturesSoBright in all your tweets! Tip: Use a URL shortener like bitly.com or goo.gl for your campaign link if you need more character space. Share photos of your experiences with AVANCE (i.e. volunteering, attending our luncheon, meeting with fellow supporters, etc.). If you don’t have photos of your own, feel free to snag your favorites from our Facebook page or website! Don’t forget to add the hashtags #AmplifyATX, #AmplifyAVANCE, and #FuturesSoBright. For questions, contact Catherine Frost. For more sample posts and inspiration, visit our Social Media Toolkit blog post.